Kristina's World: It's a GIVEAWAY!!! Hi there! I'm so glad you stopped by. A little about me, I am a wife, mom, and part-time Barista who is addicted to coffee, cooking and paper crafts. My days are filled with fur, coffee beans, fur, cooking, cleaning,(did I mention fur? ), trying to eat right and of course crafting and blogging. A blog award from Dawn! Sometimes it has to be CUTE! How is this for Inspiration!!!?!!! Hey everybody! It's GIVEAWAY time!! I'm so sorry for the delay, but there is a good reason. 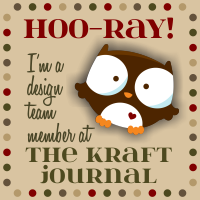 I have partnered up with my BBF (Best Blog Friend) Beth over at Runs with Scraps. And what happens when you combine Kristina's World with Runs with Scraps? Double trouble.....I mean double giveaway, mini blog hop style! Beth is doing a great giveaway too!! 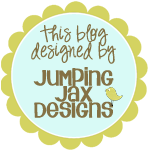 Be sure to hop on over to her blog and see what's happening over there, she is amazing. Honestly, she is... AND she didn't even pay me to say that! 1.) Follow my blog, link this post on your blog (if you don't have one it's ok), and leave me a comment. 2.) Head over to YouTube and subscribe to my channel, kmharmon3, and leave a comment on the giveaway video. 3.) Hop over to Beth's blog, follow her, link her giveaway post to your blog, and leave her a comment. The giveaway on both blogs will be open until midnight Wednesday the 21st. The winner (s) will be announcd on Thursday the 22nd. 25 wooden clothes pins by Create! Impress! Now don't forget to hop on over to see Beth at Runs with Scraps and be sure to enter her giveaway!! I'm so excited to see who wins all of this great stuff!! Whoops! Forgot to tell you I linked Beth to my blog too. Hugs! Hi, Kristina! I am following you now, both here and Youtube. I have links on my sidebar for both Beth and your GREAT Blog Candy! Thanks for the chance to win! OOPS....I left my comment on the wrong post...dork!!! Glad I found your blog and I am just LOVING these papers!!! Off to check out Beth's blog!!! Very nice tag. Looked like a lot of work went into it. Thanks for the chance to win some fantastic blog candy. Ok...I think I've did everything! Yipee! I am following your blog, made a link to your site on my blog, joined your youtube videos, left a comment there, left a comment at RWS and here! Hi Kristina !! New follower here =) Thanks for doing such a great giveaway. I've posted in your youtube channel and now i'm off to post a picture in my blog. Thanks so much and good luck on your first giveaway!! New follower! Thanks for a chance to win! Yahoo! Looking forward to seeing who the winner/winners will be tomorrow! I have to admit...I LOVE comments!! Thank you so much for stopping by my little piece of the world. Have a great day!